Tata Sons, the holding company of Tata group, is investing an additional Rs 1,250 crore as equity in its financial services arm, so that the company can meet its liquidity norms. The additional equity will also help Tata Capital Financial Services to boost its net worth to Rs 5,345 crore by this month-end, say bankers. 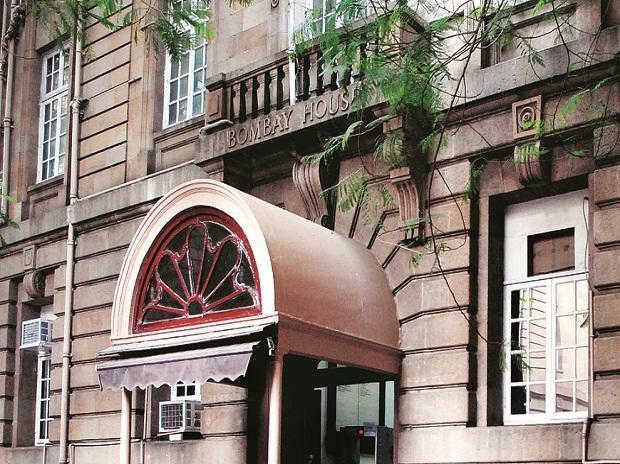 The investment is expected to be funded by Tata Sons by raising funds via a combination of existing cash and bank balances, dividend income, and borrowings. “The company is in talks to raise around Rs 1,000 crore from banks,” says a lender. According to a source close to the development, the group has already invested a similar amount in Tata Capital early this financial year, thus taking its total investment in the financial services business to Rs 2,500 crore. “The Tata group has identified financial services as one of the core areas, as it is meeting the funding requirements of the group’s suppliers, vendors, and dealers,” says a source. When contacted, a Tata Sons spokesperson declined to comment. Tata Sons had earlier invested Rs 785 crore in 2016-17 in the financial services business as equity. In recent years, the firm had to write off significant amount of loans – especially debts given to the infrastructure sector. This resulted in its net worth and profitability getting affected. The group’s financial services business also remained a laggard in the industry. 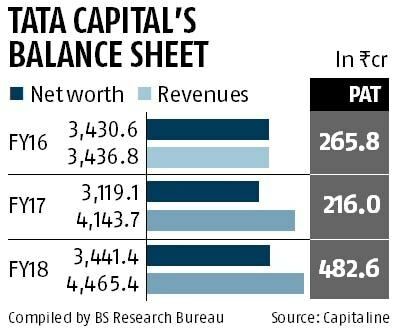 The additional capital will boost Tata Capital Financial’s adjusted net worth to Rs 5,345 crore, against a net worth of Rs 3,145 crore as of September last year. For the next financial year, the group is planning to bring all the financial services arms, including Tata Capital, the insurance arms, and the asset management business, under a single umbrella, with a new head leading the entire vertical. The additional equity infusion will help the company to grow its business in the non-banking financial company segment, where the new entrants have made significant impact. For the first half of the current financial year, Tata Capital Financial Services reported a net profit of Rs 198 crore, against a net profit of Rs 482 crore in the same period of 2017-18. Tata Capital Financial Services’ loan portfolio rose to Rs 41,915 crore in the first half of the current financial year. The combined loan book of the three companies - Tata Capital Financial Services, Tata Capital Housing Finance, and Tata Cleantech Capital - was Rs 69,600 crore as on September 30, 2018, compared to Rs 60,498 crore as of March 31, last year.